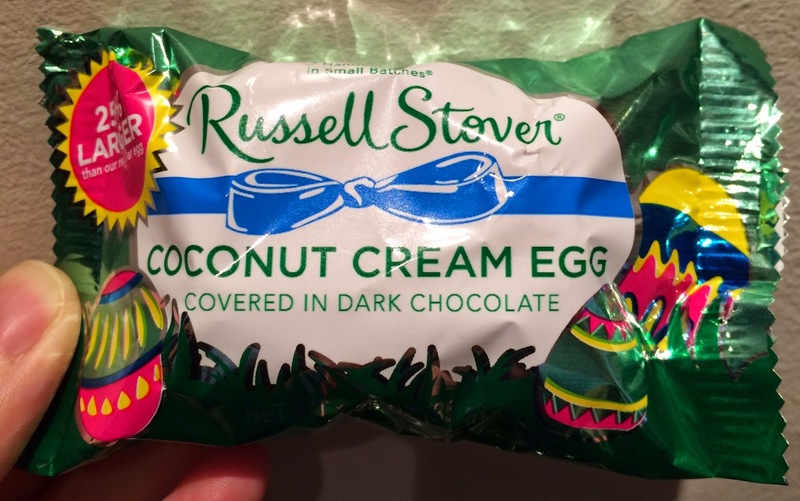 Though we found a bunch of Easter packages Russell Stover in February, I kept them in fridge and never ate them. Today, I finally consumed all the 8 chocolates. 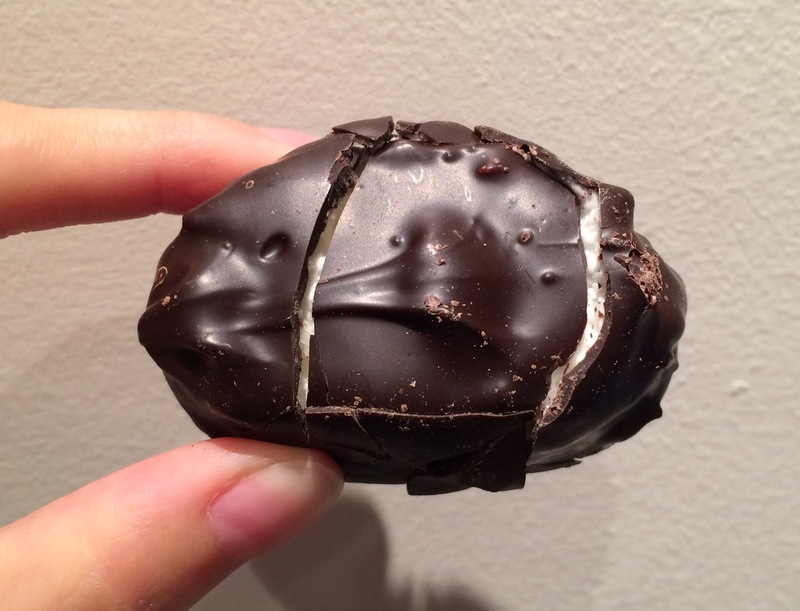 First, I tried Coconut Cream Egg. 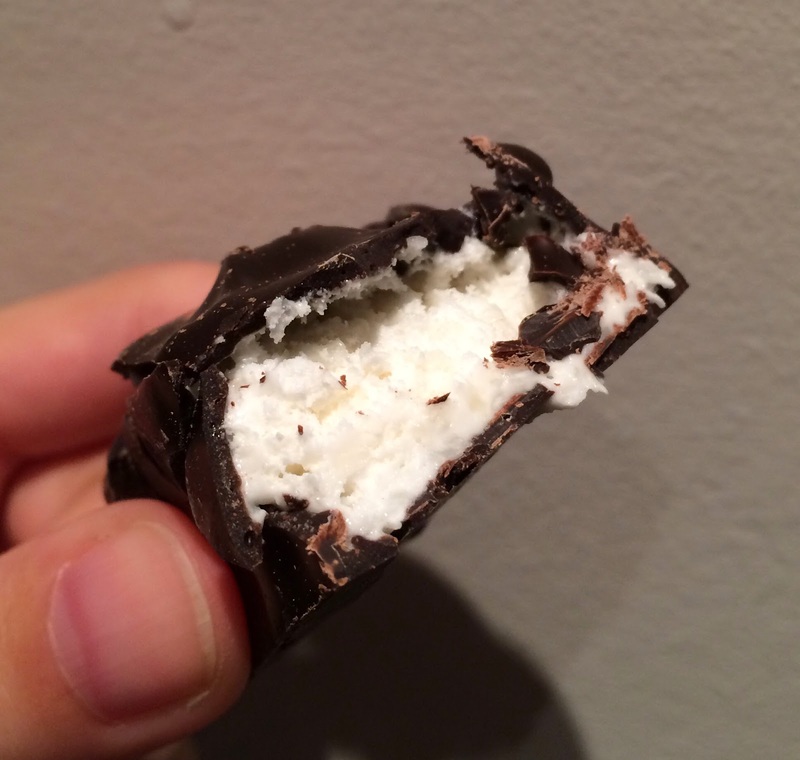 Inside, there's soft and white coconut cream and there're some crunchy pieces. Thanks to dark chocolate, I didn't taste much of coconut flavor.